Mike Anderson's Seafood is a dining establishment that offers a variety of food options and beverages. In operation for more than 30 years, the restaurant serves fried and broiled seafood items. Its menu includes appetizers, soups, salads, desserts and side dishes. Mike Anderson's Seafood also serves crabmeat-stuffed mushrooms, onion rings and catfish fingers. The restaurant offers french fries, baked potatoes and steamed veggies. It provides artichoke dip, hamburgers and pasta dishes. 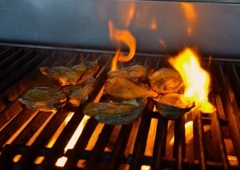 Mike Anderson's Seafood features an outdoor patio area for organizing various private and special events, including birthday parties, reunions, rehearsal dinners and weddings. It operates an online shop that sells gift certificates, T-shirts and cookbooks. The restaurant s VIP Room offers information on upcoming events and specials to members. Mike Anderson's Seafood additionally maintains a dining area, The Side Porch, which can accommodate up to 70 guests. The restaurant provides arrangements for flowers, entertainment options, photographers and bakers. Good food, horrendous customer service. I recently went to Mike Anderson's for a special occasion with my family and it was ok until the waiter made one mistake and he let it snowball. And then the manager made it inexcusable. They got my father's food order wrong, so they had to go back and make a new dish. The waiter said he would consult with his manager. When he came back to our table he said that my father would get some free lemon pie. I thought it was weird that they did not give him a menu so that he could have a choice in the matter and so I asked the waiter about this. Then he told us that my father was not only getting lemon pie and going to like it, he was going to get one slice of this pie. So of course, my father refused to accept this pathetic excuse for making up for the waiter's mistakes. My father even talked to the manager of the restaurant and the manager himself said that they just usually give their customers lemon pie and that there was ""nothing else"" that they could do. I have seen far better, superior customer service at many other places that boasted far less in fast food places, Chili's, Joe's Crab Shack, Olive Garden etc. At least if you go to one of those places, they will treat you like a person and go out of their way to help you and make you feel appreciated as a customer. At Mike Anderson's from the lowly waiters up to the manager himself made my family and my father feel that they simply wanted us to pay our money and get out so they could get more customers and make more profit. I simply could not believe the way they treated us as customers, it was appallingly rude and horribly inconsiderate. Mike Anderson's is supposedly according to their website (and fans of the place confirm its boasts), ""a Baton Rouge staple,"" with ""fantastic regional food"" and ""a festive atmosphere"". Do you know where else has good food and a ""festive atmosphere""? Any decent bar or pub left in the town, which is what Mike Anderson's might as well be, its got the alchohol and the outdoor seating, all they need now is some neon lights and a couple big screen tvs. That way the staff can ignore you half the night whenever they want because they are just a bar and not a Baton Rouge staple or a Louisiana tradition.In sum, I am completely disappointed with this restaurant. If you go there, do not have any expectations of good customer service or a courteous and friendly staff because they simply do not do that anymore. (Especially do not go there for a special occassion with family or friends because not one of the staff there will go out of their way to make you feel welcome or make your special evening feel nice or relaxed or fun.) It is a cheap and hollow and fruitless experience and you might as well go somewhere else for a good time... unless you like atmosphere similar to that of a sports bar, then go to this poor excuse for a once great Louisiana tradition and expect to be ignored for the whole night and not get what you really want. This place is not worth the time or money you would spend to eat there. Go somewhere else. I was unhappy with my dining experience. First, I paid too much for boiled crawfish (1.5 lbs for $15, by contrast they're $3 a pound in the bar down the street). When the waitress brought it out, she spilled hot boiled crawfish juice all over my lap and leg. My pants were soaked and all I got was a weak ""I'm sorry, let me get you a napkin."" I'm not going back there- it's way overpriced, average quality, and the wait staff isn't customer service oriented. Recently brought my office staff for a christmas dinner. The service was poor and the food was way below average. I will not bring my staff back or recommend anyone to utilize this restaurant for a activity. I was very disappointed. It has been over 4 years since we've been to Mike Anderson's and we plan to never return based on our last visit. Seating has always taken a long time and wait staff have never been overly-helpful (unless you're someone ""important"" from LSU like Skip Bertman). Several times we've had to wait while his table was waited on hand and foot. Oh well, that's life, right? The food is good...not great or amazing. It's a bit dark, crowded and noisy but that's ok...if you like that sort of thing. The last time we visited this mediocre establishment our son was not even 1 yet. We waited for 20 minutes for a seat and finally got a table. The hostess plopped a high-chair on the outside of the table and we put our son in it and began the long wait for our server to arrive....only he/she never did. We waited 20 minutes and the only staff to visit our table came to complain about the placement of the high chair...calling it a fire hazard. We moved it (no one even hinted on helping us find a more suitable location) but were again told, 10 minutes later, that it had to be moved...again with no help at all. After all of that AND no one to even take our drink order after 20 minutes we called the manager over and announced our displeasure. He didn't seem to give a flip and said he'd try to find our waiter. NO THANKS. I can pay less money an other restaurants for MUCH better service and atmosphere AND better food. If you love it...great. This is just our experience with this restaurant. We've eaten there countless times over the past 10 years and it was never anything amazing but that last trip was the last straw. Besides, if you really like the food you can always buy the cook book and make it yourself without the crappy waitstaff. Someone help me because I don't understand why people think Mike Anderson's is that great. Don't get me wrong it wasn't bad but it wasn't outstanding. Nothing we ate made us want to return. It was just ok. 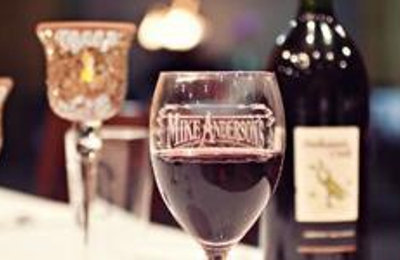 If you're visiting Baton Rouge, the first place to eat is Mike Anderson's. This is the best seafood in Louisiana. Too many Louisiana seafood restaurants produce generic, fried fish. Not Mike's! A huge variety on the menu, and the stuff that is fried... excellent! Plan to wait 30-60 minutes on the weekends... the locals all know it's here and it will be crowded. South Louisiana at it's best!!! Long wait to get in and worth every second! I've lived in south Louisiana for 43 years, this is the best seafood restaurant, bar none. If you're looking for French Cusine, go somewhere else. If you're looking for real Louisiana Cajun cooking go here. You won't be sorry. Which Home Security System Is Right for Me?